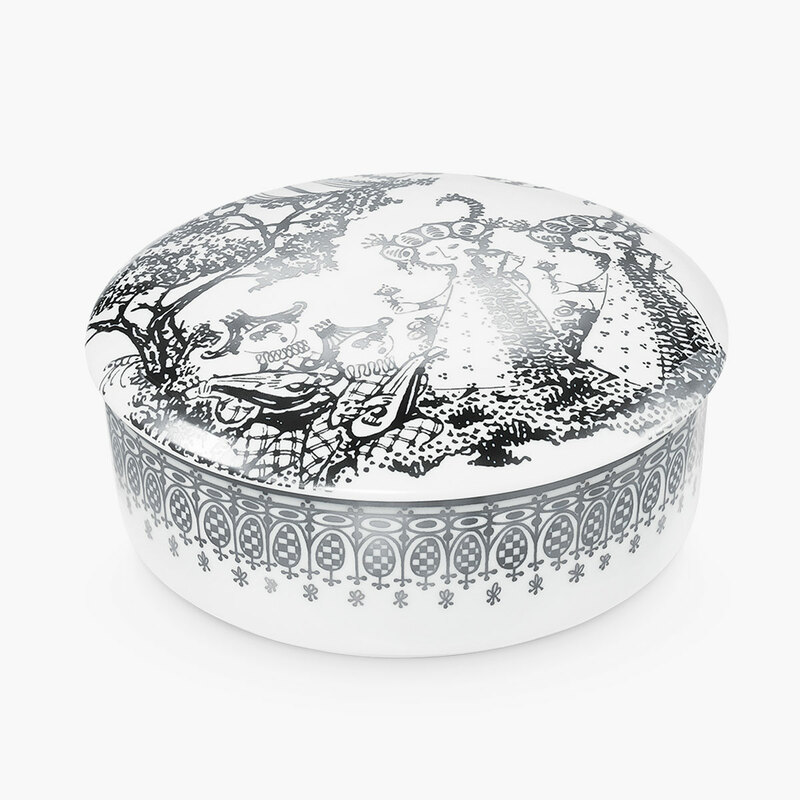 The Mascarade jar with lid features a beautiful, hand-applied silver motif that appears calm yet stylish against the white porcelain. Bjorn Wiinblad worked with the mantra of "bring joy to the people". And it is difficult not to be caught up in the magic when you see the level of detail in his design universe. The jar is a great gift idea that adds an upbeat element of maximalism to your home.